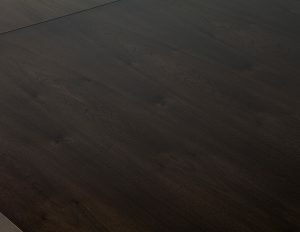 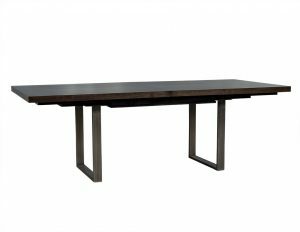 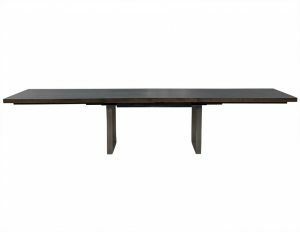 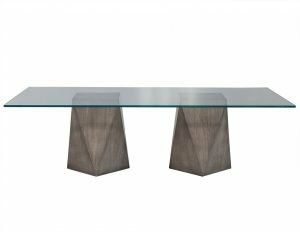 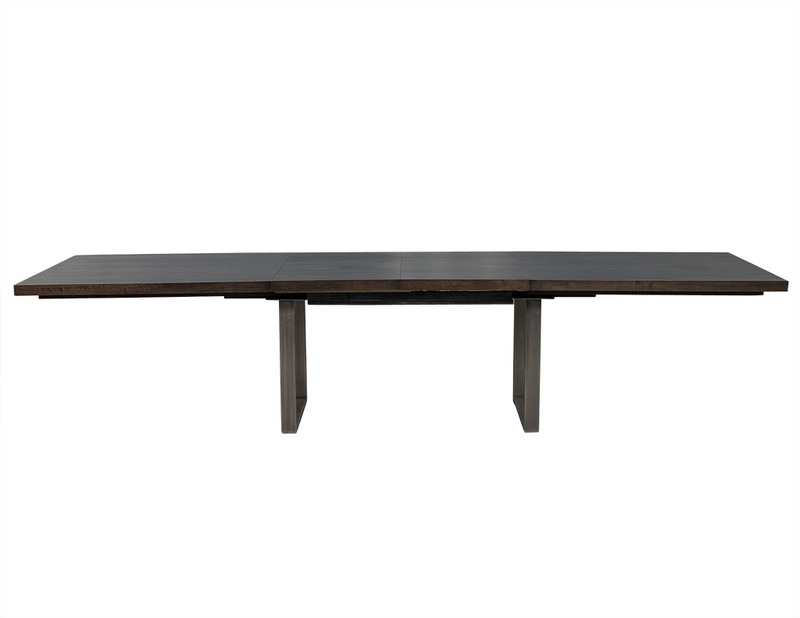 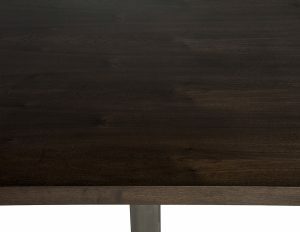 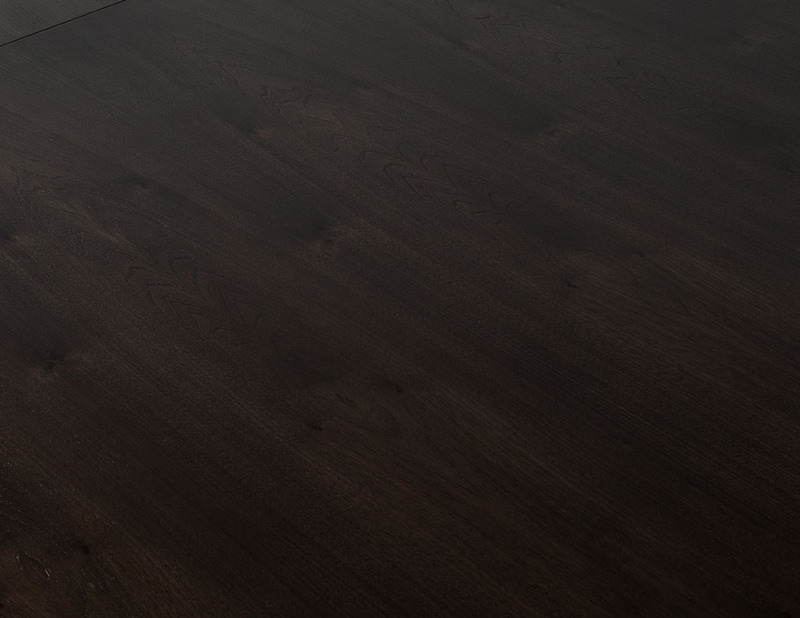 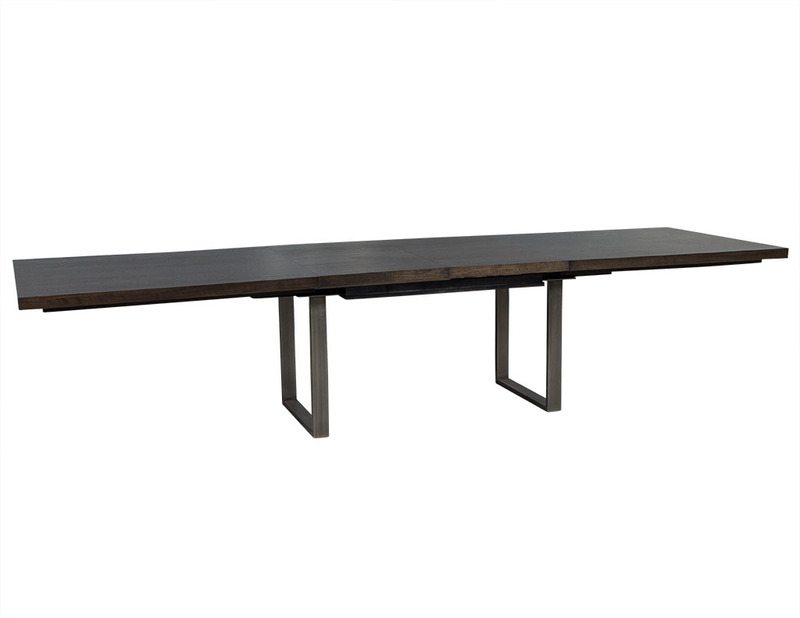 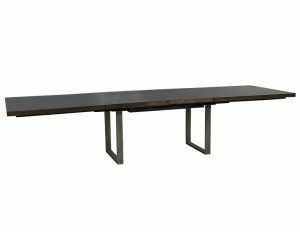 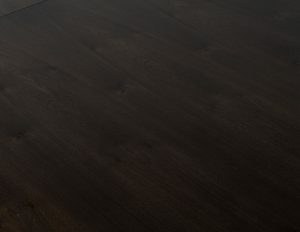 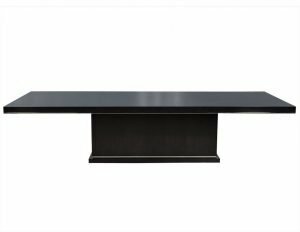 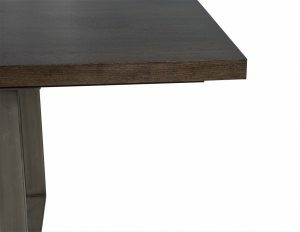 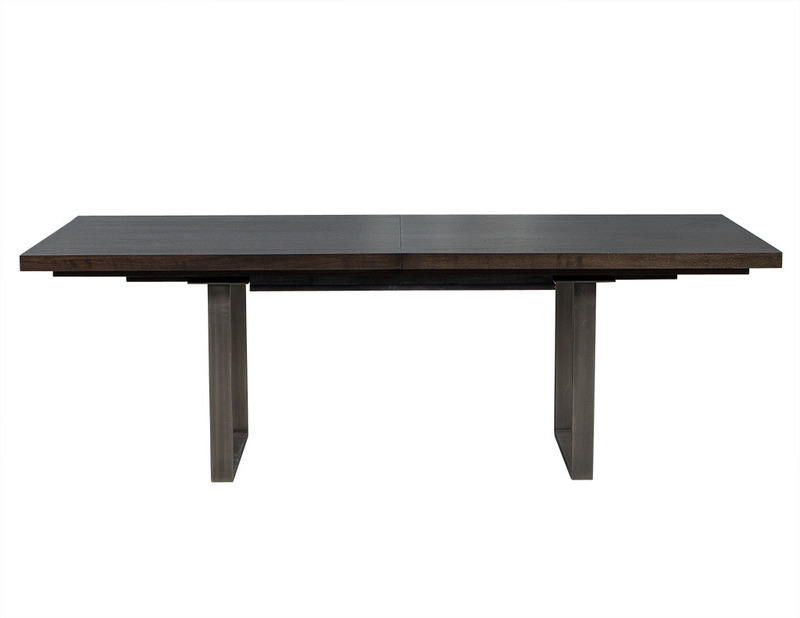 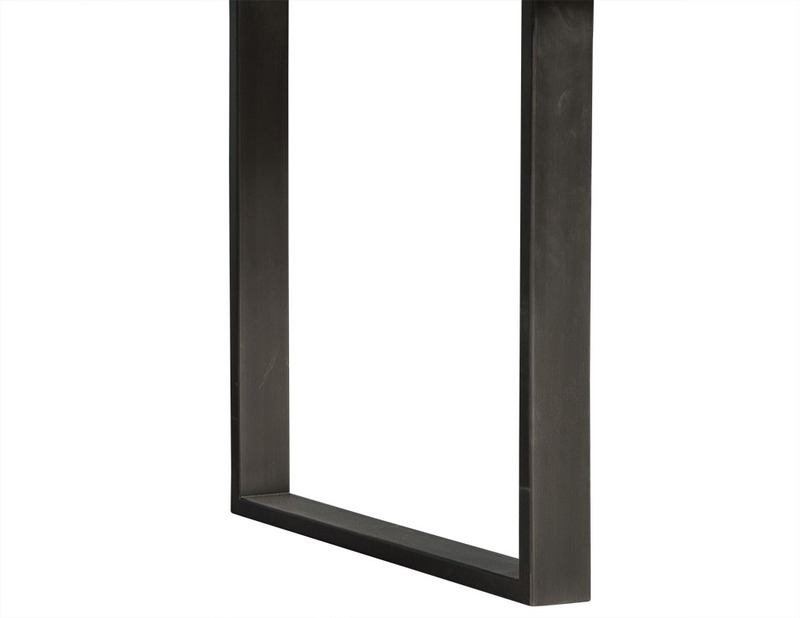 This modern dining table is a Carrocel Custom piece. Crafted out of solid walnut with two leaves that are stored in the centre section, the piece sits atop two square-shaped metal bases to add contrast. 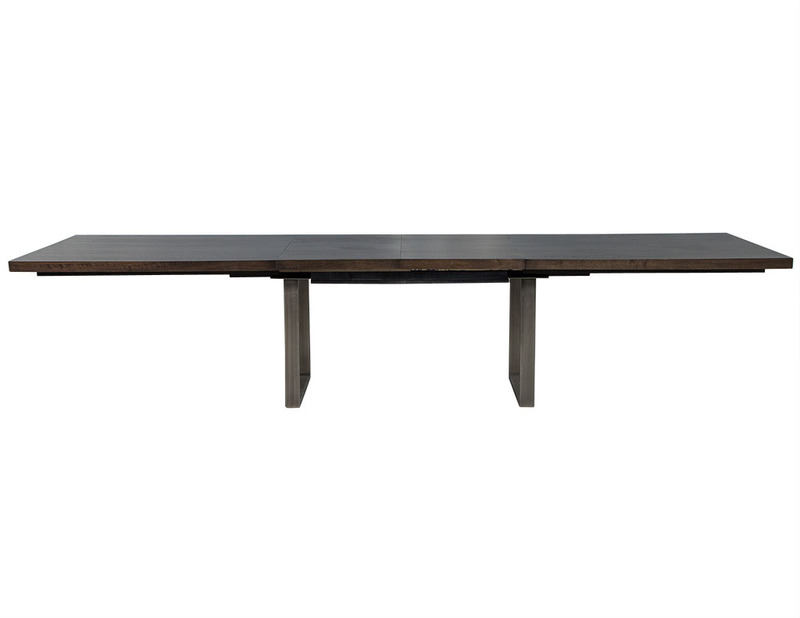 Perfect for a fashionable home. 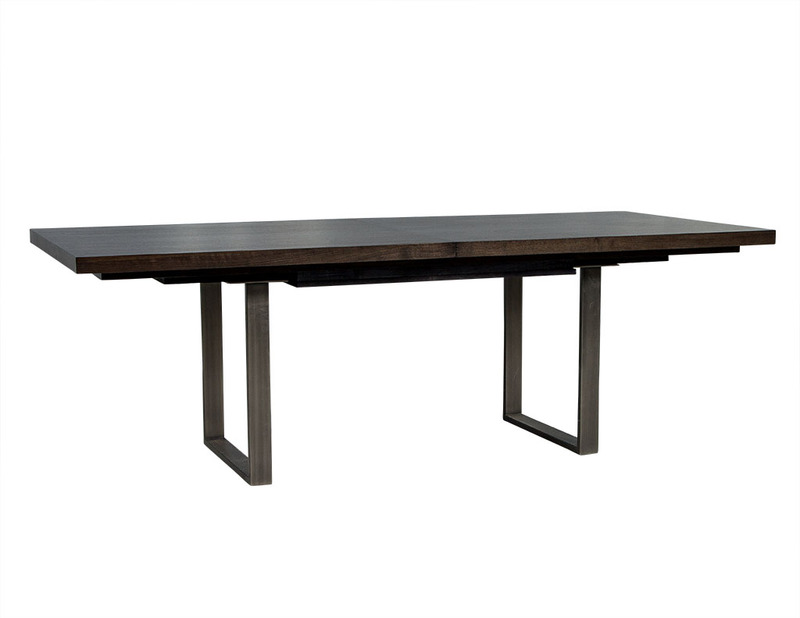 Table is made to order, lead times range from 8-12 weeks.